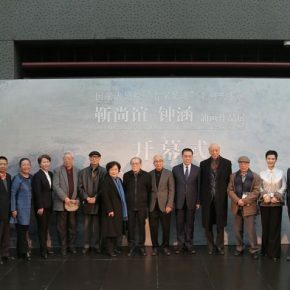 Hosted by National Center for the Performing Arts and organized by Beijing Jin Shangyi Art Foundation, “Oil Painting Exhibition of Jin Shangyi and Zhong Han” of series exhibitions “Master’s Footmarks” was held at the East Exhibition Hall of the National Center for the Performing Arts on the afternoon of December 19, 2018. 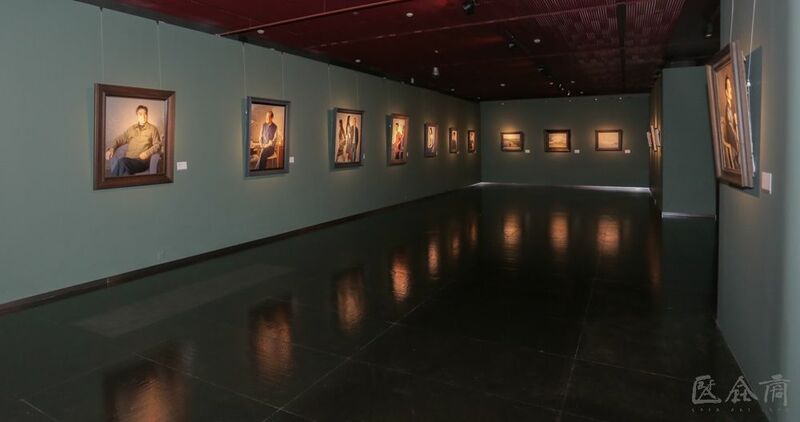 It features oil paintings by the Honorary Chairman of the China Artists Association Jin Shangyi and Prof. Zhong Han from the Central Academy of Fine Arts, covering portraits, landscape sketches, creations and sketches that have all been completed in the last 50 years. 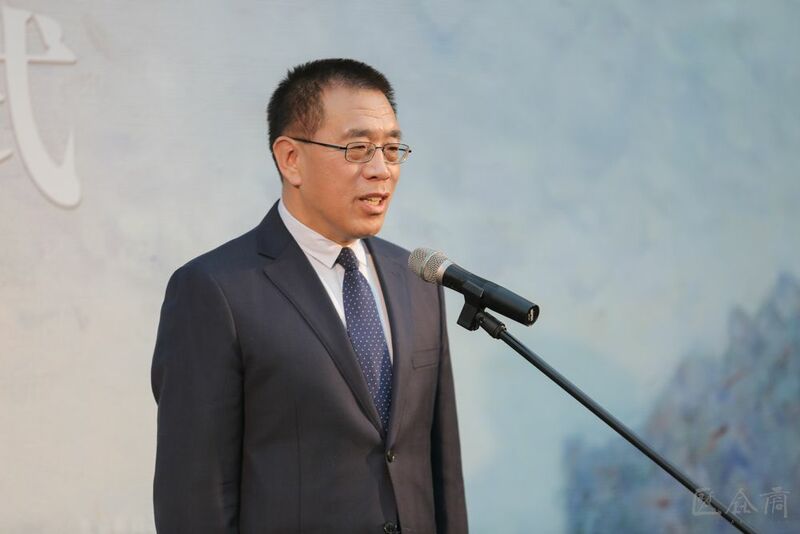 At the opening ceremony, Deputy Director of the National Center for the Performing Arts Zhu Jing, Party Secretary of the Central Academy of Fine Arts Gao Hong, Deputy Director of the National Art Museum of China An Yuanyuan, Mr. Zhong Han and Mr. Jin Shangyi delivered speeches at the opening ceremony, and Party Secretary and Director of National Center for the Performing Arts Wang Ning announced the opening of the exhibition. 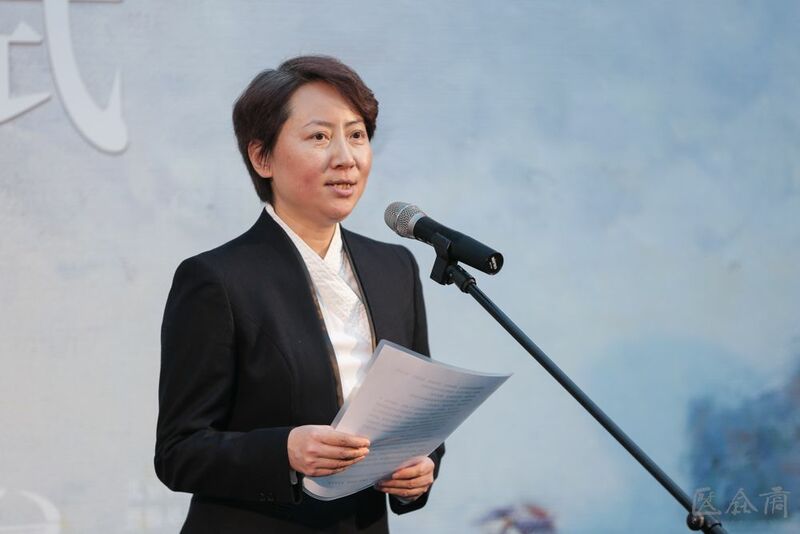 The opening ceremony was hosted by the Director of the Department of Art, National Center for the Performing Arts, Liu Yuxiao. In 2019, the People’s Republic of China is going to celebrate its 70th birthday. 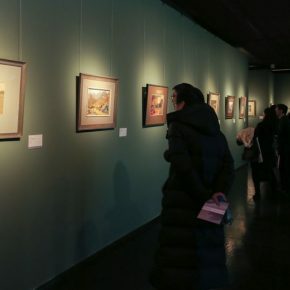 Represented by Jin Shangyi and Zhong Han, the first-generation Chinese oil painters were growing together with New China during the explosive years, and their creations are closely associated with the pulse of the Republic. 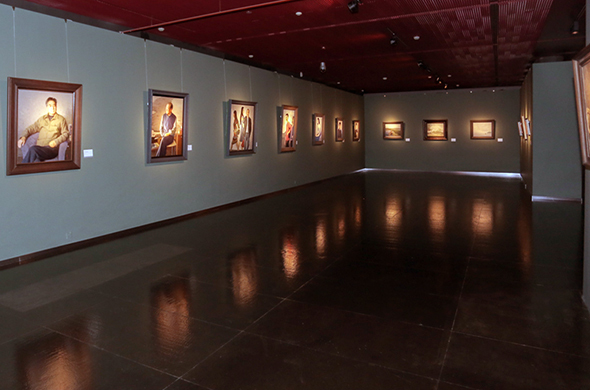 In the New China’s history of art, Jin Shangyi and Zhong Han have made important contributions to the exploration of Chinese oil painting and together both the senior artists bring the audience a unique and vivid oil painting exhibition and it is also one of the key events to celebrate the 11th anniversary of the founding of the National Center for the Performing Arts. 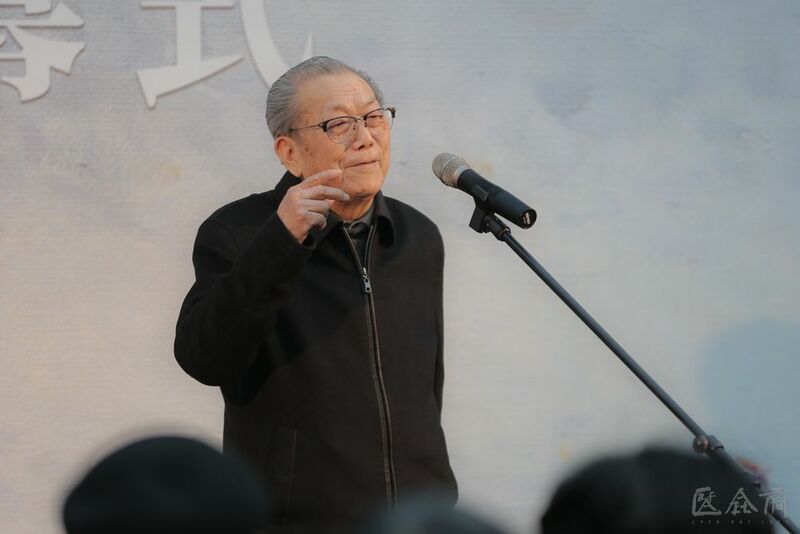 As professors at the Central Academy of Fine Arts, Jin Shangyi and Zhong Han had worked at the school together for nearly 60 years. 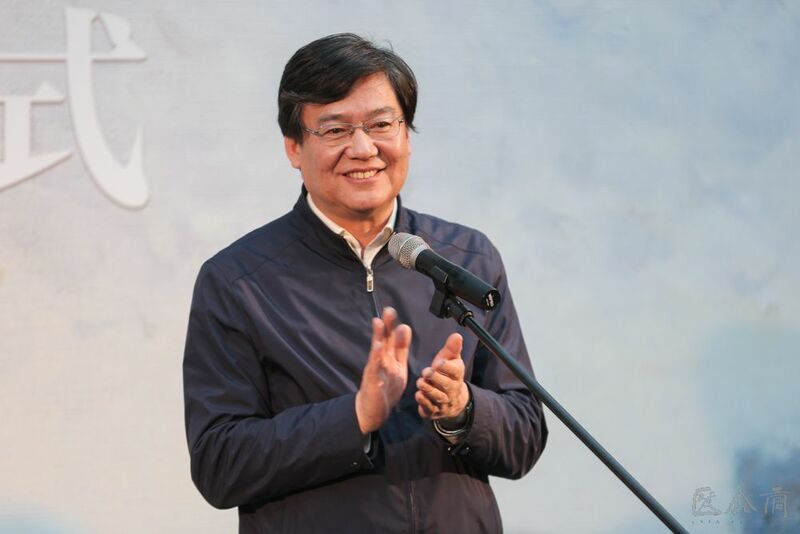 Jin once served as the President of CAFA, and Zhong was once the Director of the Academic Committee. 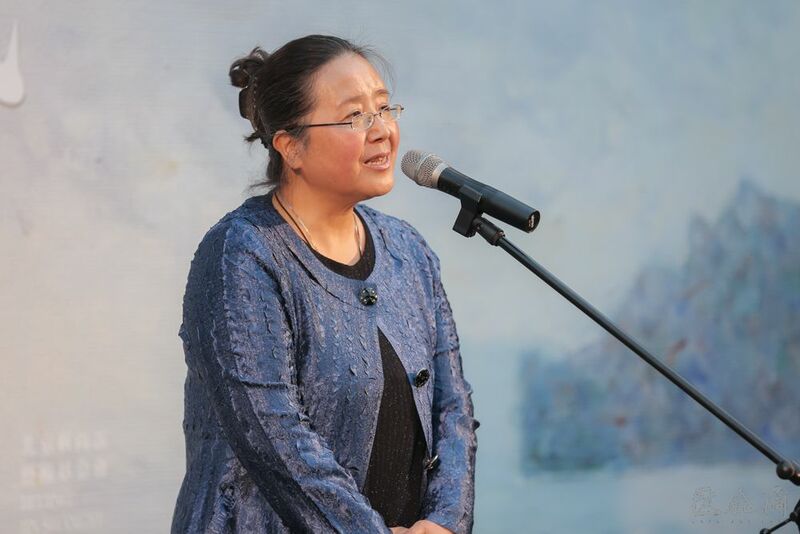 Together, they have made outstanding contributions to Chinese art education and have cultivated many talents engaged in oil painting creation. 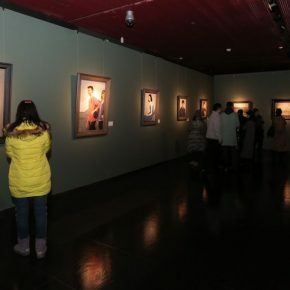 Jin and Zhong both regarded the oil paintings by the artists from the Soviet Union as the models at the beginning of their career of oil painting art, and different personal styles were gradually formed. 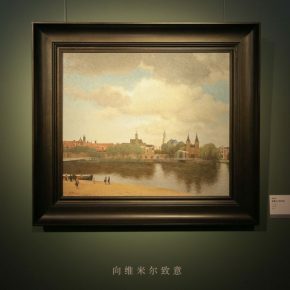 As far as the entire appearance is concerned, Jin tends to express the classical beauty in the changes, while Zhong’s paintings are constantly based on a symbol of the magnificent and beautiful. 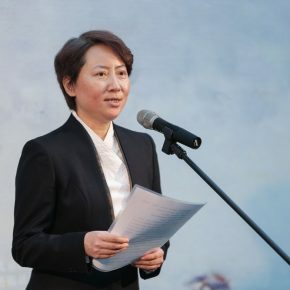 Compared with Jin Shangyi’s paintings that focus on the use of clear lines in shaping, Zhong Han’s paintings tend to use bright and dark planes in shaping. And the two models of oil painting reflect the two mutually reinforcing main lines in the European history of oil painting. 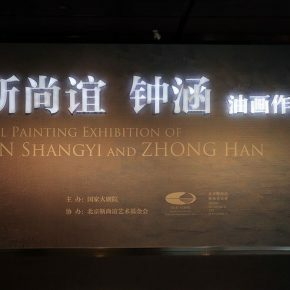 Therefore, it is of special significance to display the oil paintings by Zhong Han and Jin Shangyi of two distinct styles in one exhibition hall. 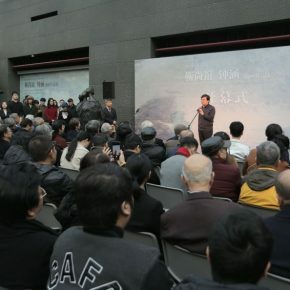 Different from the previous exhibitions, this exhibition presents the works themed on revolutionary history by the two artists, it displays the works themed on everyday lives, which has spanned half a century. 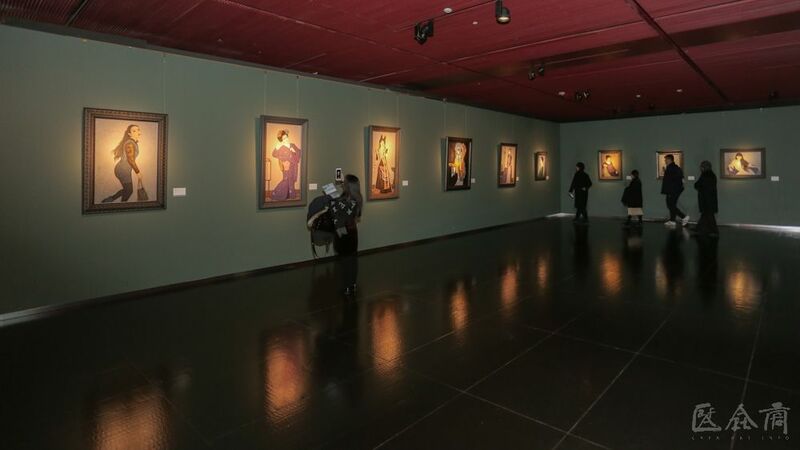 It is an opportunity for the audience to see many masterpieces rarely seen. 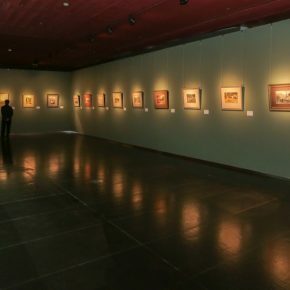 We will find many pieces that both comprehensively reflect the artistic achievements and artistic features of the artists and vividly showcase the artists that have blended Western oil painting ontology with oriental traditional culture to create a special artistic language, from the artistic perspective of the new times. And it has created an aesthetic taste which has deeply influenced later generations. 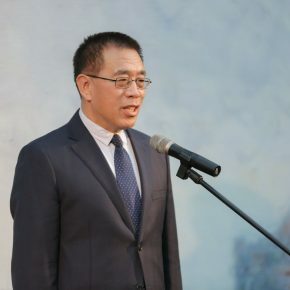 Cao Yiqiang, Executive Vice President of the Research Institute of China Arts Education and Dean of the School of Arts and Humanities at the China Academy of Art wrote a preface of the exhibition, stating that, because Zhong Han and Jin Shangyi have different artistic styles, they chose different subjects, and it also allowed both artists to choose different skills. 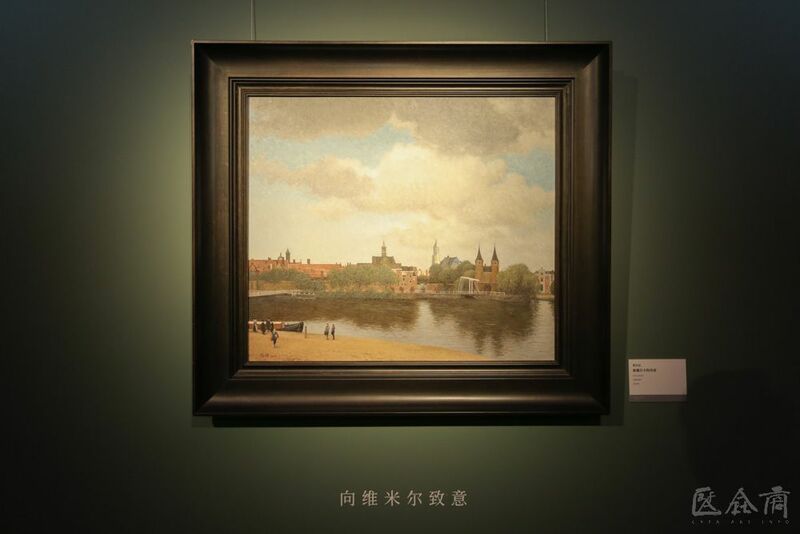 Although both Zhong and Jin draw paintings of figures and landscapes, they have different favorite subjects and themes and they use corresponding painting languages to fully express their personal preferences. Also, they have chosen the subjects and expressions which reveal their respective aesthetics and tastes. 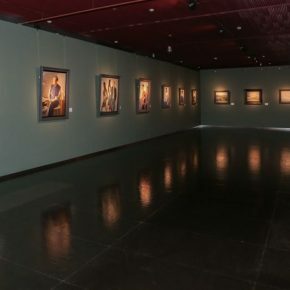 The figures of Jin Shangyi’s works are shown in thick and strong shapes, the use of subtle and elegant colors to depict a world in which the loftiness and gracefulness are coexisting and Jin uses real images of Chinese people to create subtle, elegant, quiet, harmonious and simple classical beauty. The exhibition mostly features Jin Shangyi’s works of portraits, including the figure drawings from the 1960s and 1970s, these works explore portraits in the 1980s, a series of creations finished after they formed their own personal style in the 1990s, as well as the works that explore the modern graphic decorations created in recent years. 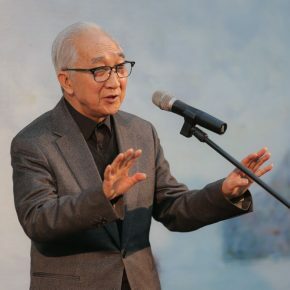 Jin uses contemporary celebrities and ordinary people to depict a variety of languages using oil painting, including the classic mode, impressionism and the linear processing of complanation and Jin hopes to use many varied forms to shape the humanistic spirit in different eras. 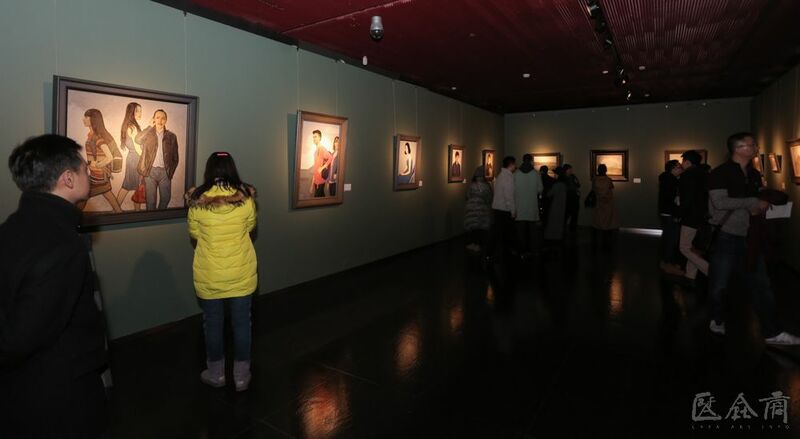 The Xinjiang people in his paintings are shown in a firm construction within a steady composition, and it seems to be both elegant and solemn; the use of a variety of forms, Jin has painted many portraits of people he knows. Sometimes, Jin uses lines to shape, using vigorous brushwork to draw graphic images and sometimes, he uses Pointillism to construct a shape, to highlight the brushwork of the oil painting and the delicate transformation of colors. 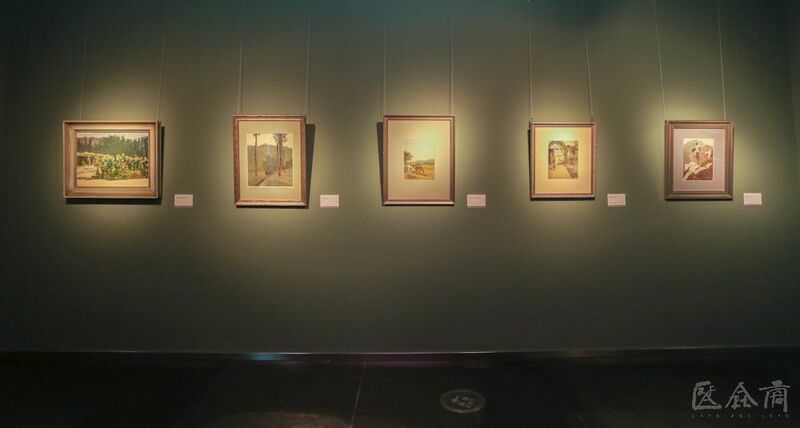 In addition, this exhibition also displays a series of landscape paintings by Jin. 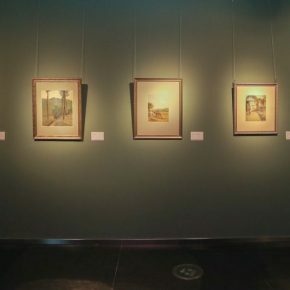 Those works are refined in language, using simple colors and remote artistic conception, so that a spectator feels refreshed when he or she sees those paintings. 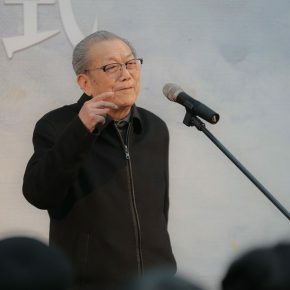 Mr. Zhong Han has travelled deep into the Loess Plateau numerous times and he has donated himself into the depictions of the surging Yellow River and the trackers. 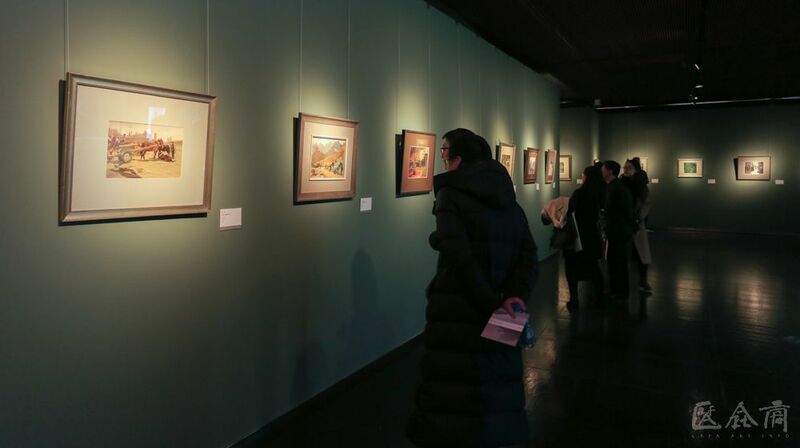 In the thick and simple pictures, it does not only reveal the profound thoughts of a poet and also his pursuit of the local spirit of oil painting that occurred after his careful study of Chinese and Western cultures. The majority of Zhong Han’s works show the arduous relationship between man and nature. 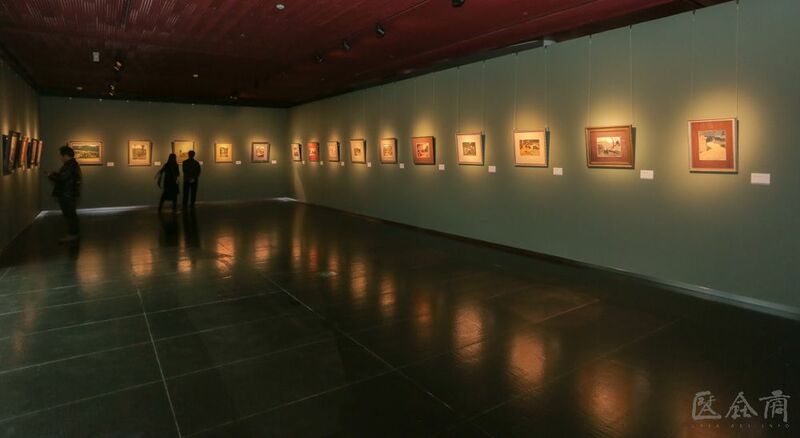 It presents some series of works such as the Sketches of Xinjiang, Henan, and the Yellow River, from which we can find that Zhong used dignified brushstrokes and thick colors to express the people and the Loess Plateau, and the spirit of struggle of the people leading a tough life on the Loess Plateau, to express the indomitableness, the moving and tragic manner of the people. In his works, all forms have become molten and penetrated into the mysterious forms and mysterious atmosphere and with the help of a variety of untouchable shapes, such as wind, clouds, smoke and fire, to highlight the sense of movement of the brushwork in the painting, to create an integrated visual movement. 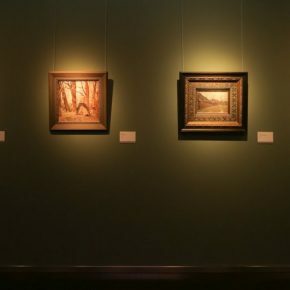 A few bouncing bright colors presented in those dark and thick paintings attract viewers’ eyes, and guiding them to examine the composition of the whole painting and to interpret the specific form. 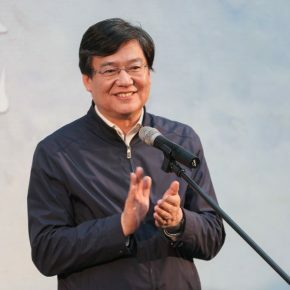 In addition, it also presents a series of oil paintings themed on ancient inscriptions on tablets, such as “Stele Forest”, “God of the Earth and Light Feathers”, “White Crane Ridge”, “Sandstorm – Walking”, and “Diamond Sutra in the Jing Shi Valley, Mount Tai”, so that we can see the profound qualities of literature and history, as well as Zhong’s humanistic spirit. 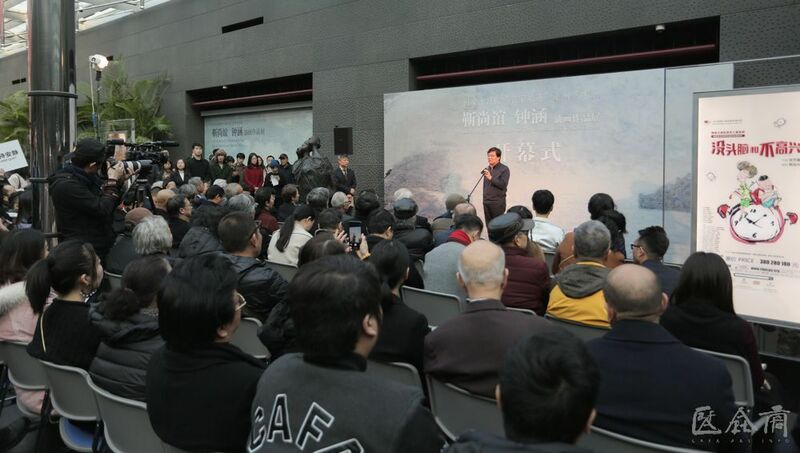 The works created by both artists in the past decade are comprehensively displayed and also a simple review of their artistic exploration is presented at the “Oil Painting Exhibition of Jin Shangyi and Zhong Han”. 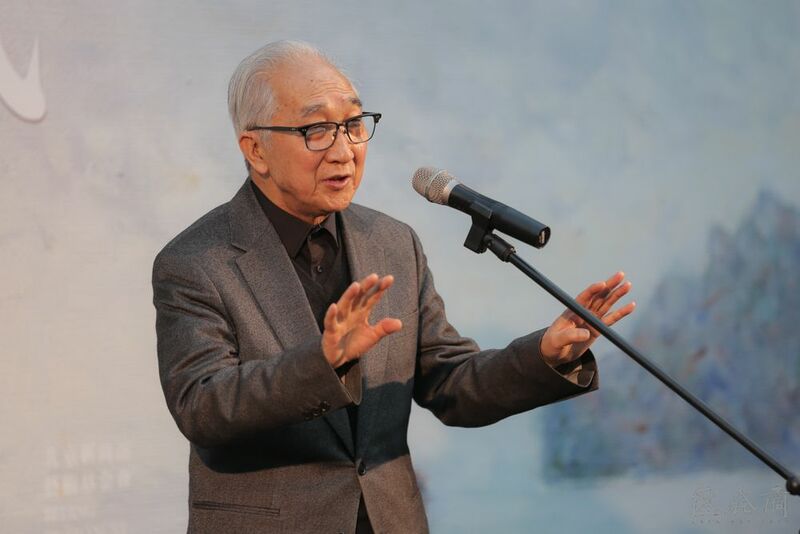 Those works do not only reveal their solid realistic skills and their pursuit of a simple life, but also reflect the senior artists’ calm thinking on the current situation of art. 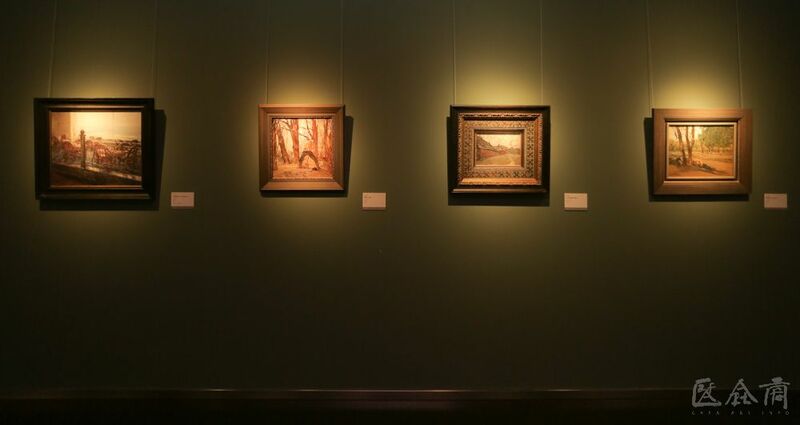 Jin Shangyi and Zhong Han started their oil painting art career simultaneously, and they both regarded oil paintings by the artists from the Soviet Union as the models at the beginning of their career, and later different personal styles were gradually formed. 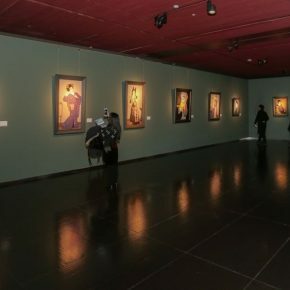 As far as the entire appearance is concerned, Jin tends to express the classical beauty in the changes, while Zhong’s paintings are constantly based on a symbol of the magnificent and beautiful. 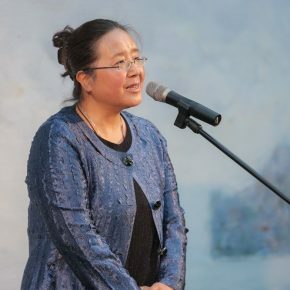 Compared with Jin Shangyi’s paintings that focus on the use of clear lines in shaping, Zhong Han’s paintings tend to use bright and dark planes in shaping. And those two models of oil painting reflect the two mutually reinforcing main lines: classical linearity and Baroque drawing, in the European history of oil painting. 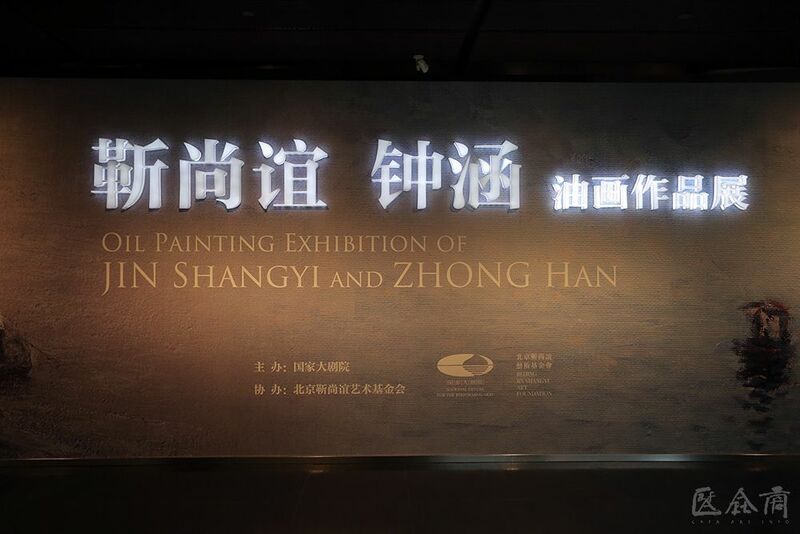 Therefore, it is of a special significance to display the oil paintings by Zhong Han and Jin Shangyi of two distinct styles in one exhibition hall. It continues to March 15, 2019.